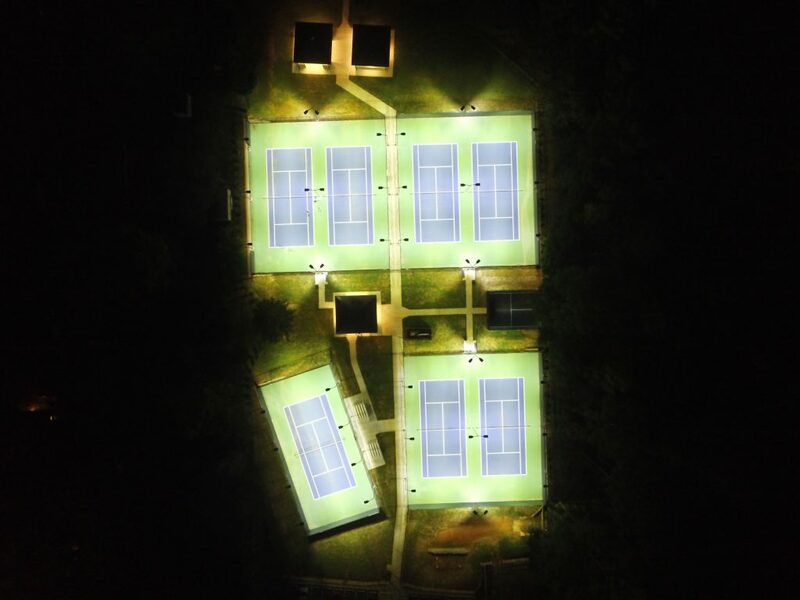 Located in Mooresville, NC, Edgemoor Park has seven tennis courts that are illuminated with (44) LED CourtBlade fixtures. The three two-court batteries have (12) fixtures and (9) poles per court and maintain around 40 FC in the playing area. The single court has (8) fixtures and poles while maintaining 50 FC and will be used for tournaments & prominent local matches. Located in a residential neighborhood, it was imperative to minimize light spillage into yards of residents. With the LED CourtBlade’s forward-throw optics and the use of shields on the fixtures on the sides, the light spillage into the neighborhood was minimal.